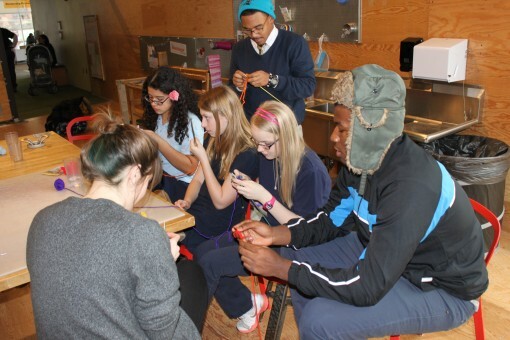 MAKESHOP » Knitting with YouthALIVE! Knit the Bridge is a local art initiative by the Fiber Arts Guild to cover an entire Pittsburgh bridge with colorful knit (or crocheted) panels. 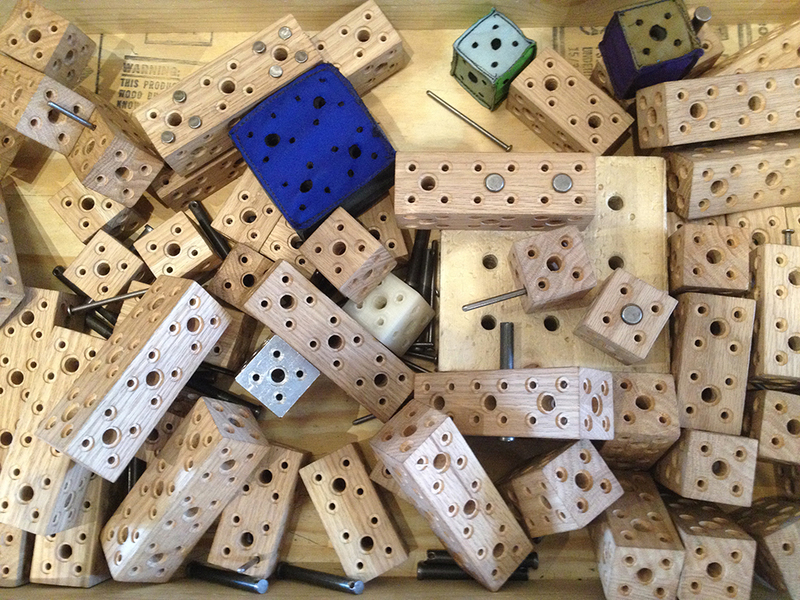 MAKESHOP has hosted a KtB drop-off box, and we’ve had several visits in the past from guest KtB knitters. 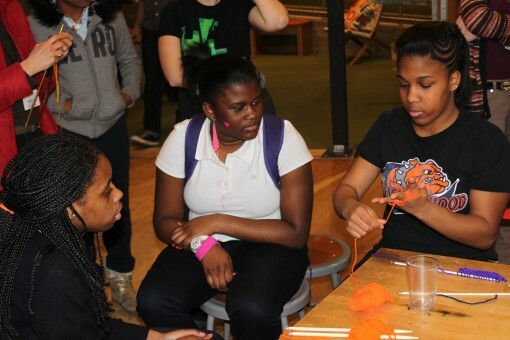 Last week, KtB brought a team of high school students from a KtB school residency to run a knitting workshop for the Museum’s 6th-8th grade after-school program, YouthALIVE!. Some of the YouthALIVE! students had shown a good deal of interest in knitting, and this workshop was a great opportunity for them to solidify their understanding and practice their technique. 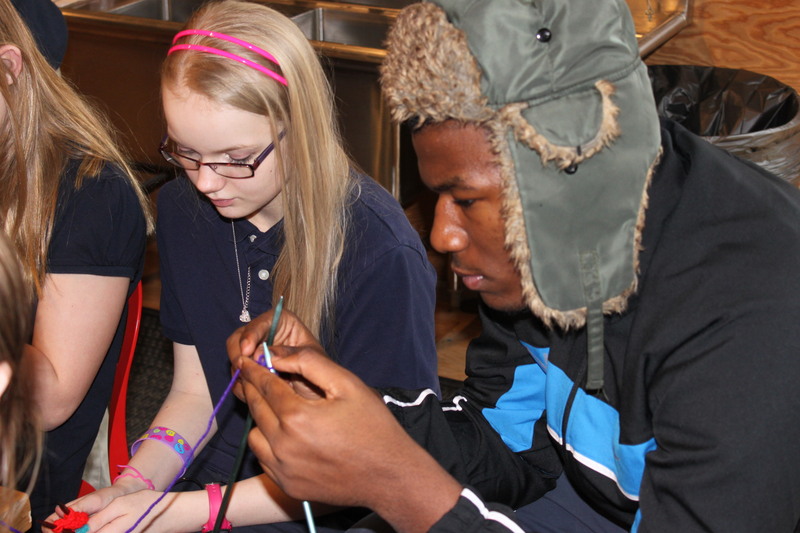 I’m sure we’ll be seeing a lot more creative knit work from these students in the future.